Caninde Macaws. 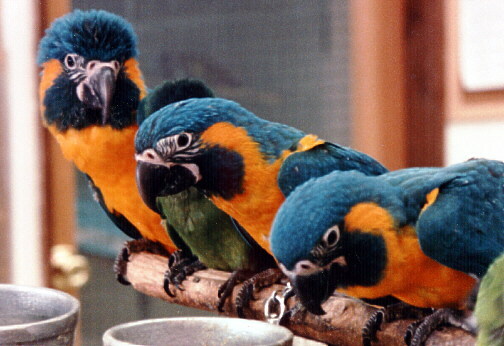 These are rare Ara glaucogularis, the Blue-Throated Macaw. They are often mistaken for Blue & Gold Macaws or hybrids, but are neither. This photo was taken at Arcata Pet in the late 1980's. Double-Yellow Headed Amazon. This male (Walker) was obtained by Arcata Pet as a mature bird in 1982. He fathered his first in 1985 and has never had a season since without at least one baby. Housed at Arcata Pet, he and his mate Reba had produced 38 offspring through 1996. This picture has been used in a Microsoft television ad. 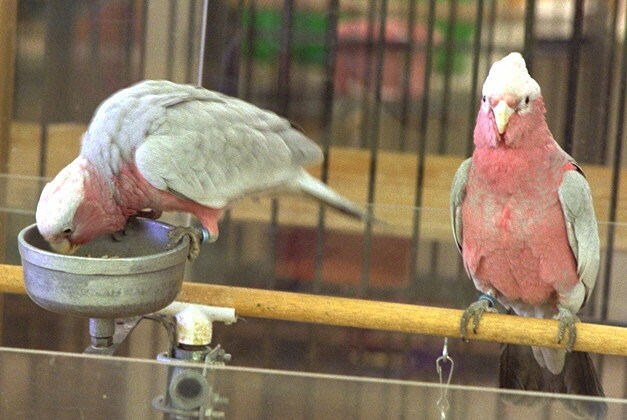 Rose-Breasted Cockatoos at Arcata Pet in 1994. Raised here, but hatched at Smith River Aviaries in Smith River, CA. 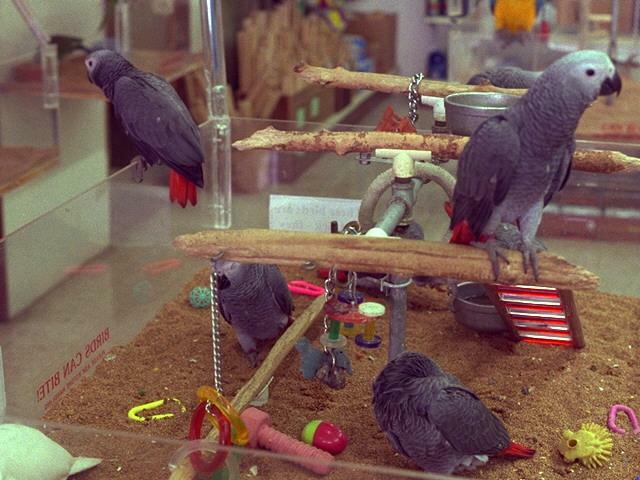 Baby African Greys on a playpen at Arcata Pet in 1993.